Kuching Hawker Culture, or better known as food court culture in Kuching is similar to hawker culture in other parts of South East Asia, notably Singapore, Malaysia and Indonesia. 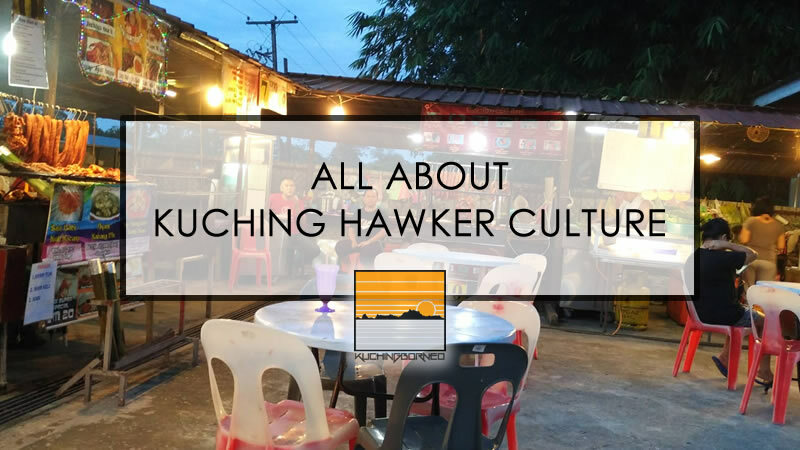 I’m not sure how the name ‘hawker culture’ came along, but hawker culture in Kuching is alive and kicking. In fact, the Kuching Hawker Culture provides the best way to sample local street food at the cheap prices. WHAT IS KUCHING HAWKER CULTURE? Kuching Hawker Culture comes in the concept called food courts, food bazaars, food centers or hawker centers. In Kuching, the name food court is more popular. The whole concept of hawker culture in Kuching involves making a variety of food options available at one place, regardless food origin or type. Usually, a food court would have an anchor tenant which would run the drink stall, while food stall rented to individual hawkers serving different dishes. Tables, chairs, and sometimes entertainment for customers are the responsibility of the food court owner. An older version of a hawker center in Kuching. 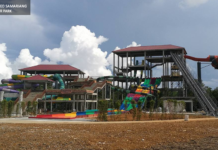 The food court owner is also required to upgrade the facilities at the food court and ensure the food court passes any sort of regulations by the local council. Cleanliness of the food court is usually also centralized. This generally means that hawkers are only concetrating on their dishes, and need not to worry about the red tape which usually comes with opening a stall or shop. It also means that there’s plenty of food options for customers to choose from. Kuching Hawker Culture is very prominent nearby densely populated residential areas like Batu Kawa, BDC, Samariang, Central Park, and Matang Jaya. Smaller towns like Bau, Lundu and Padawan also have hawker centers but in a much smaller scale. 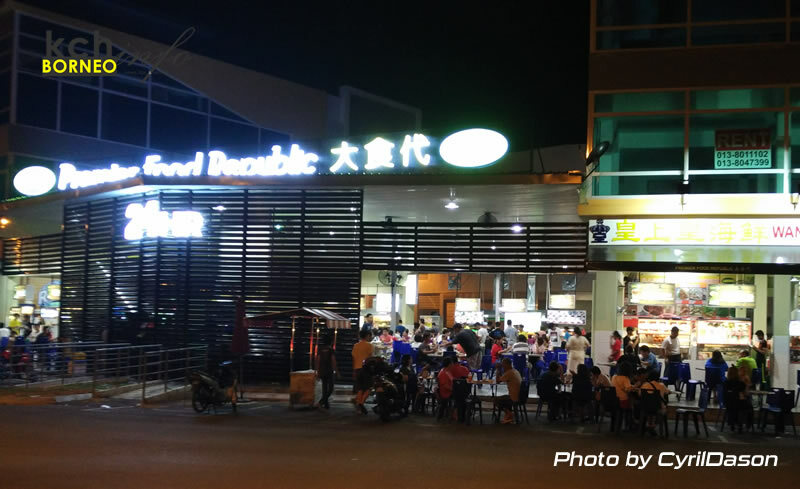 Recent changes to hawker culture in Kuching has seen most food courts upgrade its facilities and cleanliness. 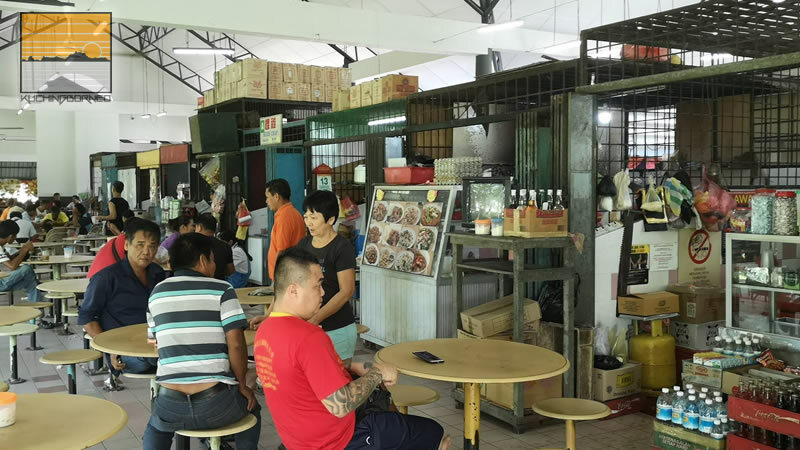 The newer food courts are usually brighter, larger and cleaner due to this upgrades making Kuching hawker centers one of the best in South East Asia. These kind of hawker centers (or food courts) are usually the biggest. They cater for everyone and usually are the easiest to find. They are practically everywhere in Kuching and offer the widest range of dishes that are both either halal and non-halal. Popular food options at these food courts are Mee Kolok and Sarawak Laksa. Stalls in these kind of food courts can reach an obscene amount. The number of tables available can also reach hundreds. If you are thinking of trying a general food courts, Pending, 3rd Mile, Batu Kawa, BDC and Stutong are prominent with such food courts. 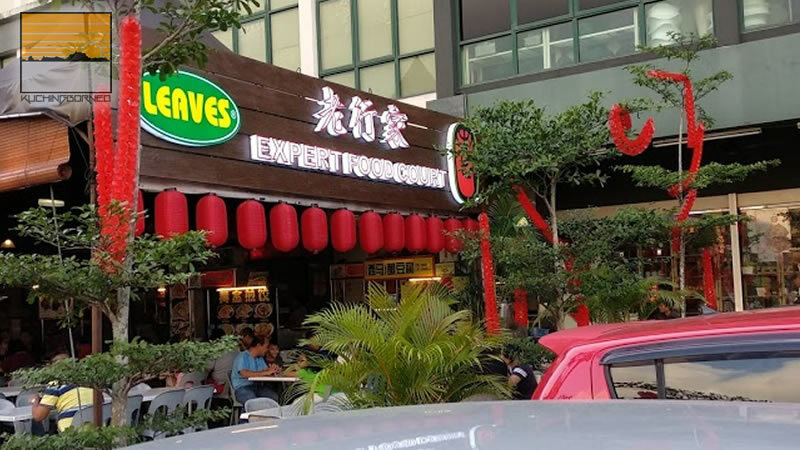 Favorites are Chopstick Food Center at iCom Square in Pending, Siang-Siang Corner at Central Park in 3rd Mile, Premier 1010 at Jalan Song, Premier Food Republic at Tabuan Tranquility in Stutong, Expert Food Court in BDC (Next to Century Hotel) and Megabites in Batu Kawa. Muslim food courts are usually smaller in sized and serve only halal food. Despite its name, it is actually open to everyone although these type of food courts usually close during the month of Ramadan and Muslim related celebrations. Popular dishes at Muslim food courts include Laksa Sarawak, Mee Bandung, Roti Canai, Mi Sapi, Sate and Mee Kolok. The Mee Kolok in particular is very different from the ones found in general food courts as they are usually black in colour (they use soy sauce). 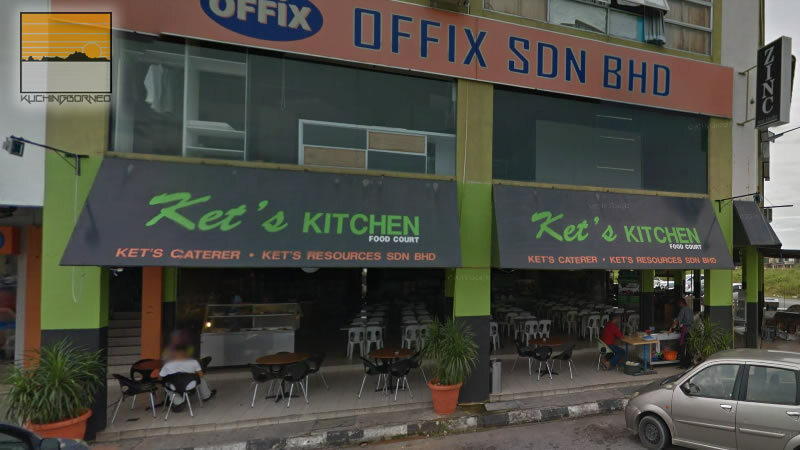 Ket’s Kitchen in Matang is one of the popular Muslim foot courts. Muslim food courts are largely concentrated in Malay majority areas like Satok, Matang and Samariang. Popular Muslim food courts are Mom’s Laksa in Semarak, Ket’s Kitchen in Matang and Kopi O Corner in Satok. Dayak food courts are the latest hawker culture in Kuching. They ride on the influx of the Dayak people into Kuching for job opportunities. Dayak food courts are usually closed during Gawai Dayak and Christmas. Compared to the general food courts and the Muslim food courts in Kuching, Dayak food courts are rather unique. 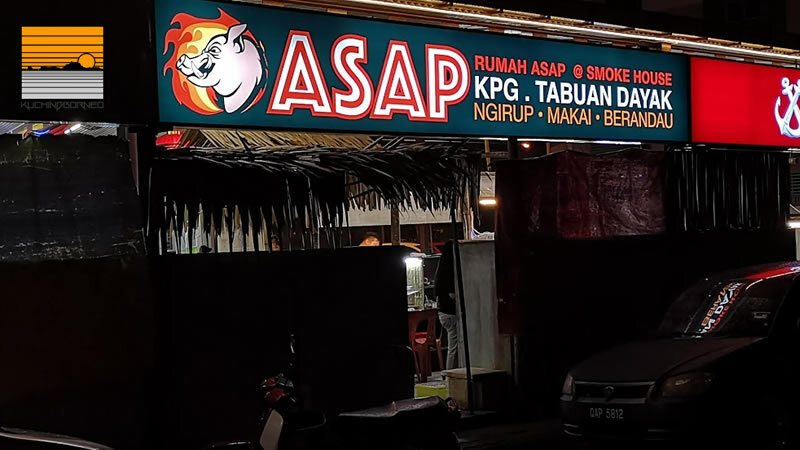 They usually only operate at night and also tend to call themselves ‘rumah asap’ which means smokehouse in English. These Dayak food courts are famed for Dayak dishes (Read about Dayak dishes here) and generally non-halal. There is only one Dayak food court in Kuching so far called Rumah Asap Kpg. Tabuan Dayak. Prices of food at food courts or hawker centers in Kuching are relatively cheap. You can get a drink and a main dish for a mere RM10, with extras for desserts. In Muslim food courts, prices of food and drink items can be slightly higher compared to the general food courts. Dayak food courts tend to be the priciest as their food is unique and more difficult to prepare. 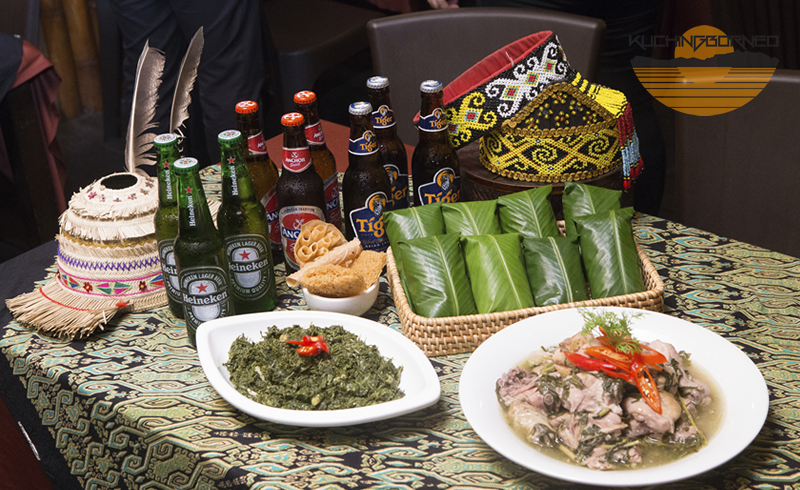 Chilled beer at unbelievable low prices are usually also available at General and Dayak food courts. Since hawker centers in Kuching are rather scattered, it would be difficult for me to pin point any particular way to go there. However, if you want to find a food court, just go to the areas mentioned above by Grab and you should be able to find the massive food courts easily. For a foreseeable time, the Kuching Hawker Culture is likely to still exist. 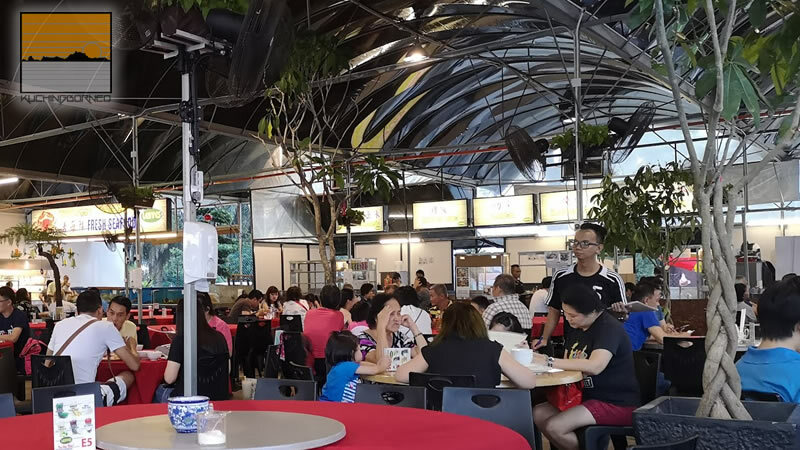 It is understandable since food at these places are cheap, and they not only serve as a place to eat, but a place to chill out, catch up with friends, and sometimes watch sporting events (most hawker centers and food courts do have big screens and TVs). It is really difficult to say which food court of hawker center in Kuching is the best, but if I had to choose, I could still pick one. Expert Food Court in BDCMy personal favourite food court is Experts in BDC as there’s Catz Pyjamas burger, and the Sarawak Laksa comes highly recommended.